Flow through a 1 hour yoga class with Michelle Laing. Brunch with a delicious chia pudding, fruit and enjoy some kombucha! Gift Bags, everyone will get goodies from vital proteins, natures bounty, and more. Sunday March 17th at The Kinship Studio Michelle Laing instructed a yoga flow class, followed by a delicious brunch. Manitoba Harvest donated granola, there was chia pudding, and fruit! Everyone left with amazing gift bags filled with essential oils, hair nail + skin gummies from Natures Bounty, a discount card to MPG Sport, vital proteins, and Manitoba hemp harts. Have you ever wondered how to make the perfect Matcha, Turmeric, or Beet Latte? Well, nows your chance! 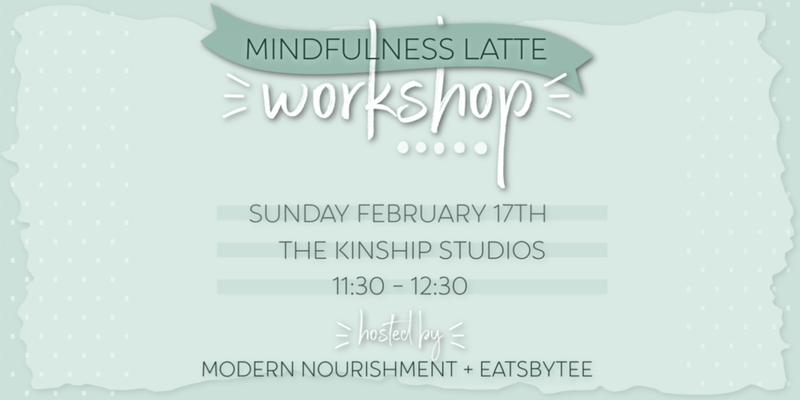 Join us February 17th at The Kinship Studios for a fun workshop to make Matcha, Turmeric or Beet Lattes and learn about all the health benefits they provide! Followed by the Lattes we'll be sharing our tips on mindful nutrition, goals and intention settings. You'll be provided with a workbook which includes the recipes of all three lattes, a step-by-step guide to mindfulness and a monthly intentions template. More, and more people are looking at what’s in their food, and what it’s doing to their body. People are self-educating themselves about how food can heal, and improve overall health and wellbeing! Join Christina (@eatsbytee), Katrina (@fortifynaturalwellness), and Johanna (@johhanna) for a panelist discussion on health & wellness. Guest speakers will be sharing their health & wellness journey, sharing their experience, and giving you their health & wellness tips!